OxyPaks XL – Oxygen Booster is a granular oxygen source that is used in wastewater lagoons and decorative ponds to accelerate the digestion of sludge and muck and prevent odors. 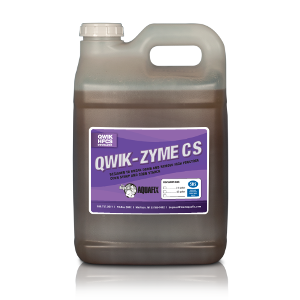 OxyPaks XL is a biostimulant and really kicks the bacteria into overdrive to chew up sludge. 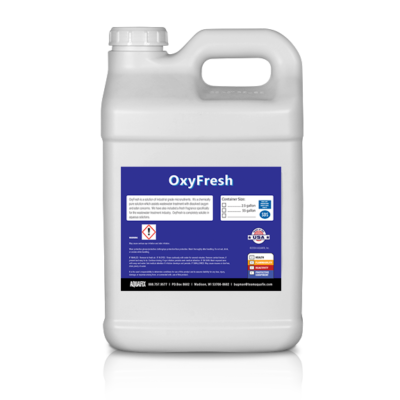 OxyPaks XL Oxygen Booster releases granular oxygen into the sludge and muck for 30 to 45 minutes after application. This will often cause undesirable muck to rise to the surface where it is easily consumed by our VitaStim Sludge Reducer. VitaStim Sludge Reducer and OxyPaks XL are also a good combination for wastewater operations with percolation ponds and rock filters. Percolation ponds and rock filters tend to build up with sludge and dead organics. These clog the surface and prevent water from trickling through them. The use of both these products and help break up and digest organic matter so the water starts flowing again. *OxyPaks XL – Oxygen Booster is sometimes used to offset toxicity, raise DO, and stimulate the bacterial environment in wastewater treatment plants. Call us if you have any questions, we’d be glad to help out. Add into the backwash of a sand filter at a rate of 1 to 3 lbs per 10,000 gallons of flow. Watch the sludge and muck be removed. 25 to 100 lbs per acre, depending on the amount of sludge and companion products used. A small village had bad corrosive hydrogen sulfide odors coming into their wastewater treatment plant. It was a hot, dry summer and the odors were really bad. The village added our OxyPaks XL into the manhole a quarter of a mile into town. OxyPaks XL successfully removed the sulfide odors.